← Which is Better Synthetic or Natural Supplements? Here’s a startling fact – 1 in 3 American adults or about 80 million people have high blood pressure (HBP) and many of them don’t know it. Often labeled “the silent killer,” the condition itself has no signs or symptoms and can go undetected for many years. When left untreated, the constant excessive force of HBP can damage artery walls and major body organs, including the heart, brain and kidneys. Over time HBP can lead to coronary artery disease, heart failure, stroke, kidney failure, arteriosclerosis, vision impairment and other serious life-threatening health conditions. Blood pressure rises and falls during a normal routine day. It lowers as you sleep, and rises when you wake and when you are excited, active, nervous or stressed. When the numbers stay in the higher zone most of the time, you are at risk for developing related health problems. Many people consider high blood pressure just an inevitable sign of aging, as about two-thirds of Americans over age 60 may have HBP. However, HBP is not inevitable even though blood pressure does tend to rise with age, resulting in primary hypertension. In many cases a healthy life style can help to keep blood pressure levels within the normal healthy range, delaying or preventing age-related HBP. When blood pressure is too high, treatment may help prevent organ damage and lower the risk of cardiovascular disease. Causes and risk factors for HBP include medical conditions such as thyroid or kidney disease, obesity, sleep apnea, medications such as antidepressants, decongestants or birth control pills, genetics, unhealthy lifestyle habits such as smoking or excessive alcohol consumption and chronic stress. The good news is that healthy lifestyle habits that support healthy blood pressure levels will also aid in managing HBP. The more healthy habits you adopt, the greater the chances of preventing or delaying high blood pressure and avoiding related health problems. Staying active and maintaining a healthy weight can help keep blood pressure stable. The more physically active you are, the better for your blood pressure and your overall health. Those who are overweight or obese can benefit from a 5 – 10% weight loss. Even a small amount of weight loss can significantly lower blood pressure and decrease the risk of health problems related to HBP. Eating smart can help to naturally lower blood pressure. Put the focus on nutrients, protein, healthy fats and fiber by eating vegetables, fruits, whole grains, oily fish, poultry and nuts and limiting sweets, sodium and added sugars. Avoid processed, high sodium foods. One more reason to get a good night’s rest, inadequate sleep has been shown to increase heart rate and limit the normal nighttime decrease in blood pressure. Nighttime high blood pressure is a major risk factor for heart disease. Be sure to get enough potassium. Studies have shown that people with adequate potassium intake have lower blood pressure overall, as potassium helps to protect blood vessels from oxidative damage. Adults should aim to get 4,700 mg of potassium daily through diet or supplementation. Good dietary sources of potassium include sweet potatoes, fresh tomato sauces, white beans, yogurt and spaghetti squash to name just a few. Watch your alcohol intake. Small to moderate amounts of alcohol may actually lower blood pressure, but more than 3 drinks at one sitting can temporarily spike blood pressure. Moderate amounts of alcohol equates to 2 drinks daily for men and one drink daily for women. Put out that cigarette for good. Smoking damages blood vessels and can worsen health problems related to HBP. Learn to reduce or manage stress. Finding ways to relax and cope with stressful situations can improve both physical and mental wellbeing. Medications may be necessary to manage blood pressure and treat underlying conditions such as diabetes. Weight loss may be the most significant step in reducing hypertension and can also allow for a reduction in medication. Cardio by NovaHue – This complex, standardized blend of safe and effective natural ingredients encourages overall heart health, supports the circulatory system, reduces oxidized LDL cholesterol levels and helps maintain blood pressure already within the normal range. Dairy and wheat free. Cardiotone by Professional Botanicals – Designed to support healthy heart function and the cardiovascular system, this powerful combination of minerals, CoQ10 and a proprietary herbal blend supports increased heart muscle strength, lowered blood pressure and increased energy production. Vasotensin® by Metagenics – Formulated with pure, quality certified peptides from bonito fish to support healthy vascular function, optimal blood flow and healthy blood pressure levels already within the normal range. Gluten, soy and dairy free, Non-GMO formulation. 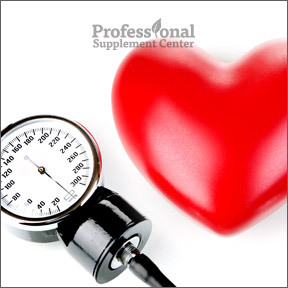 HTN Complex™ by Designs for Health – This formula contains an array of nutrients and herbs designed to naturally support normal blood pressure, vascular tone and cardiovascular health. Gluten, soy and diary free, Non-GMO formulation.